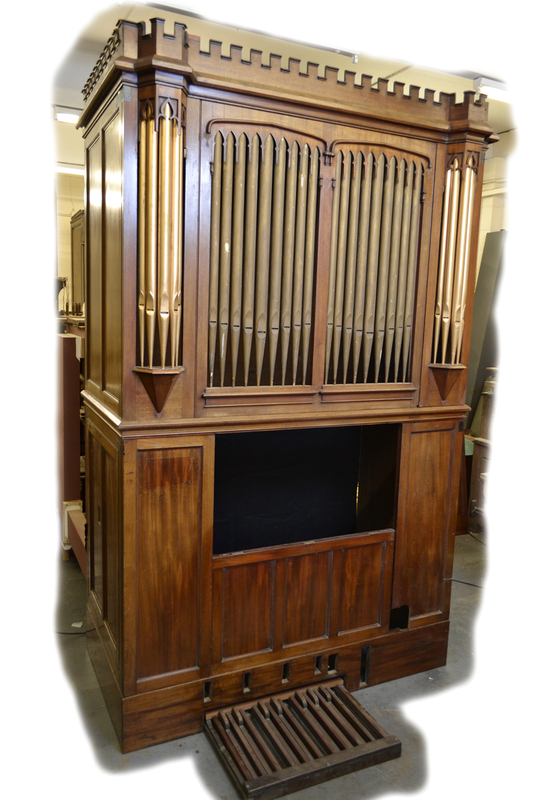 Coming soon: 1 Manual Peter Collins house organ, fits within standard UK 7' 6" ceiling height! 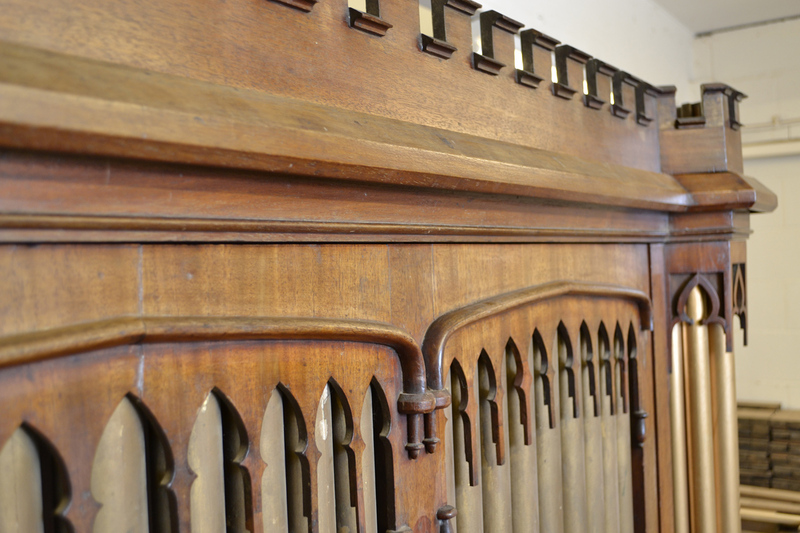 We specialise in the sale of nineteenth century Chamber Organs suitable for use in the larger home. These are also suitable for liturgical accompaniment in a small church, where they will far outlive any electronic substitute. Larger instruments can be sourced according to your requirements, and make an economical alternative to a new instrument. 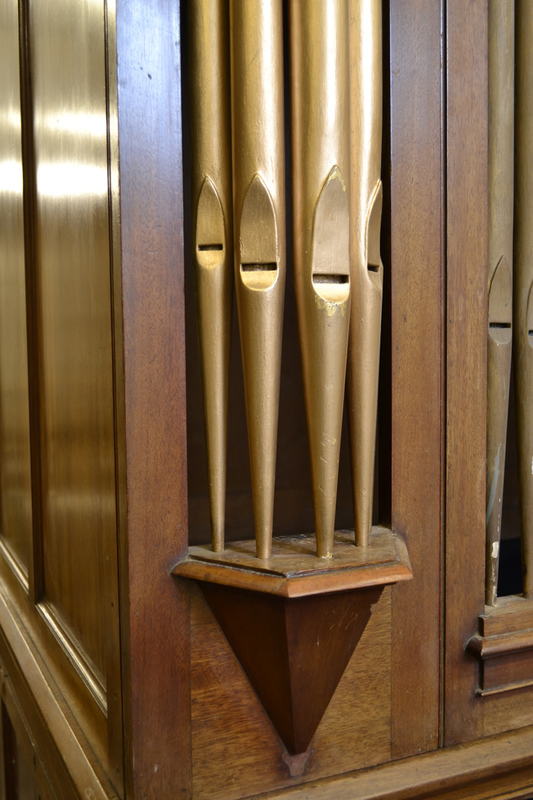 We also create new custom-built pipe organs, individually specified to your requirements and beautifully crafted from the finest materials. 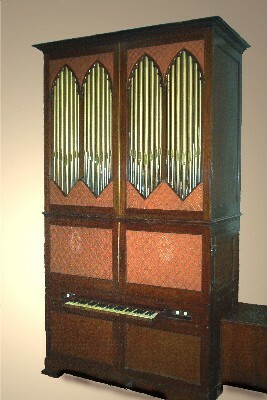 Light oak casing in gothic style with gold leaf display pipes (wooden dummies). A surprisingly effective organ for its size. View the video below to hear it in action, bearing in mind that the acoustic of our workshop is not ideal. Dimensions approximately 8’ high, 5’ wide x 2’6” deep. A lovely and very authentic nineteenth century instrument dated 1840, with distinctive mahogany casework in delicate semi-Gothic style. Gilded flat-back dummy pipes (currently overpainted) and all original pipework. 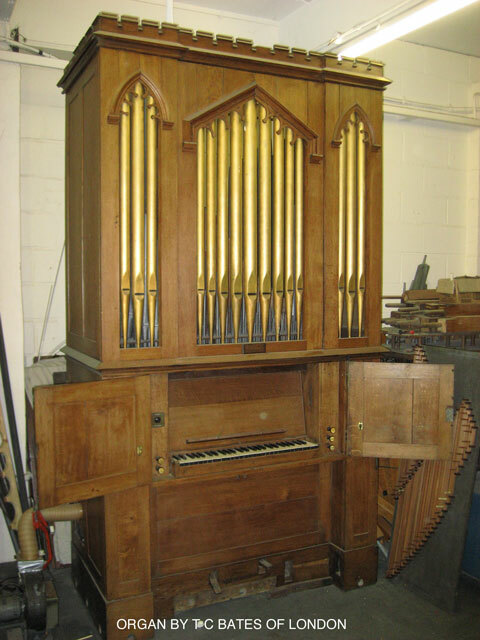 This organ pictured right and below is awaiting commissioned restoration. Keys are from GGG-f. Pedalboard is also GGG compass, and both pull out from the casework in the manner of drawers, thus saving space when the instrument is not in use. FOR SALE ON BEHALF OF CLIENT - Price on application. 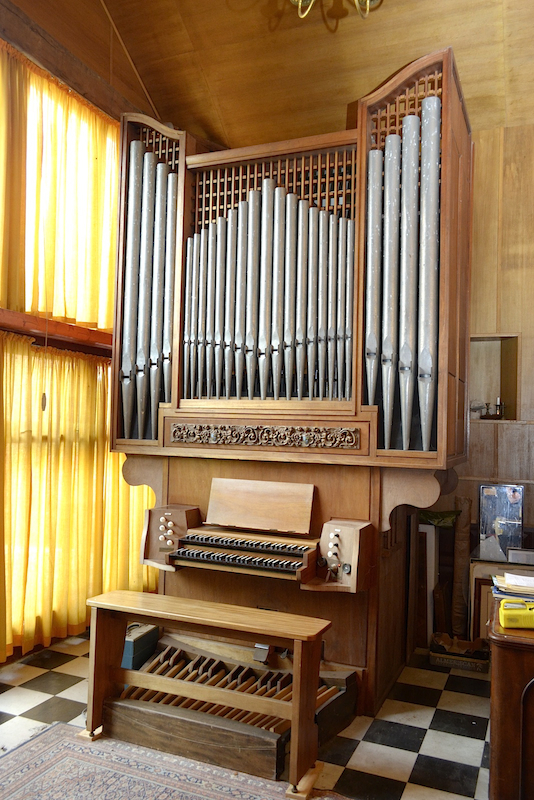 This delightful small classical church organ currently in use as a practice instrument, but it would equally suit a modest sized church or concert room. Key action is mechanical, with electric action to the pedals. If you don't see what you are looking for on this page please contact us with your requirements. We are constantly offered other instruments of all sizes, and may well be able to assist!